Now here’s a tiny house project worth some serious investigation and support. These are tiny houses made from insulated steel panels that fit together like Lego blocks. They can be assembled in a day by a volunteer crew of 12 people and include a bedroom, bathroom, and kitchen/living room combo. Our goal is to offer a low cost, panel manufacturing “factory-in-a-box” to any philanthropic or government organization in the world that is building schools, clinics, or homes for poor families. The metal insulated panels would be manufactured locally by unskilled workers and would enable classrooms, clinics or home to be field assembled in one day with a small team of volunteers. Arial Homes are intended to replace the cobbled together shelters of the poorest people on earth by manufacturing components in factories near where they will be used. It costs about $100,000 to construct a factory and $11,000 to build a complete house. The panels that form the structure cost about $7,500. Pictured here is the type of housing the Arial Home is replacing. 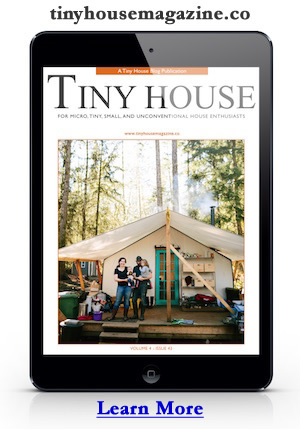 I couldn’t find any information about Arial Homes being offered as tiny house kits to Americans but it seems to me that there might be a growing market and need right here in America. I’m certain that there are far more people around the globe that have a more severe housing need than most Americans, but there are plenty of Americans in need of affordable housing. This approach might be viable solution for many. On Arial Home Initiative’s wiki and website there is a lot of information about how the buildings are constructed including plans for each component in Google SketchUp file format. If you’re considering building a tiny house for yourself this might be a good place to look for prefab ideas. Here is a completed Arial House with photovoltaic solar panels on the roof providing electricity. For more information visit the Atial Home Initiative’s website and wiki. Photo credit Arial Home Initiative. This entry was posted in Humanitarian and tagged arial home, arial home initiative, arial initiative, prefab, tiny house, tiny houses, Tiny Prefab House.